Few things say Winter like Beef Cheeks cooked low and slow, filling your home with divine aromas, promising a memorable meal to look forward to. Beef Cheek leftovers (if you can salvage any!) 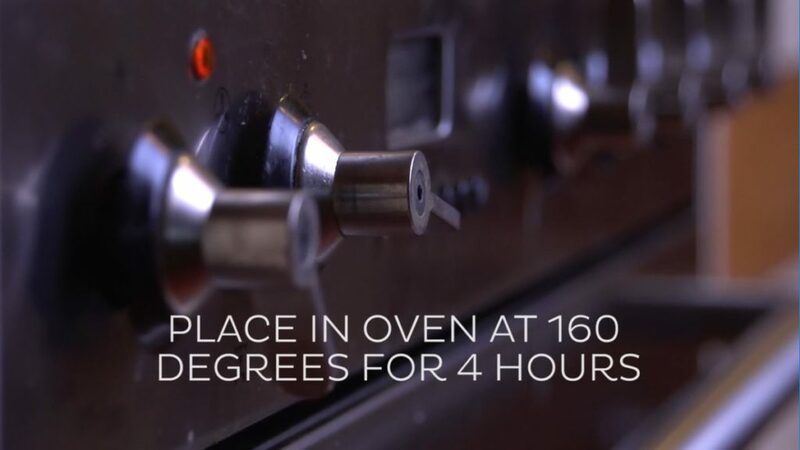 also make wonderful meat for pies. Don’t forget to grab some of our legendary Flaky Pastry – it’s not legendary for nothing! This recipe is so easy, you will want to make it every Winter weekend. 750-800gm GD Beef Cheeks trimmed and ready for the pot. 6 large Brown flat meaty mushroom. 12 Shallots or 2 x Red Onions finely chopped. 4 cloves Garlic finely chopped & Olive Oil to fry. Heat 1 Tbsp Olive Oil in a heavy bottomed oven dish (like a Le Creuset). 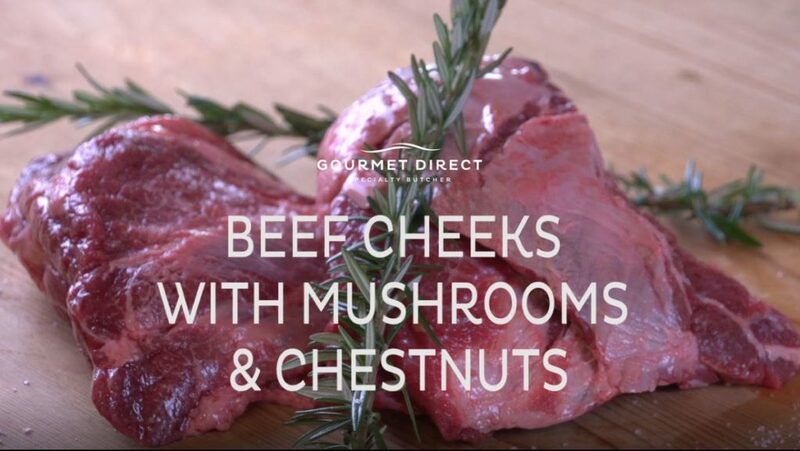 Dust your beef cheeks with flour, seasoned with a little salt and pepper, Shake off any excess flour before searing the cheeks on all sides in the hot oil. Remove the meat from your dish. Set aside and keep warm. Heat 1 tbsp Olive Oil over medium heat in same pan used to sear the Beef Cheeks. Add chopped Onion or Shallots, sliced Mushrooms and Garlic. Season immediately with Salt and Pepper. 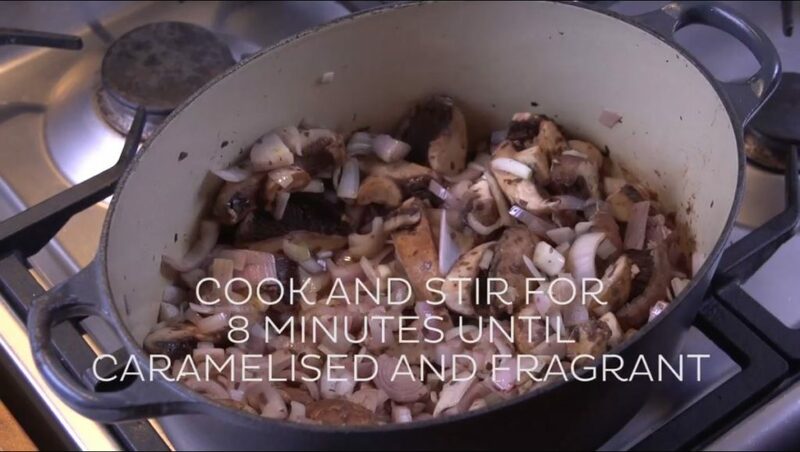 The Salt will stop the vegetables browning too quickly and allow them to caramelise slowly for maximum flavour. You are ready to continue when the mushrooms have intensified significantly in colour and flavour. Now it’s time to add your Red Wine, Beef Stock, Star Anise, Cloves, Rosemary & Bay Leaves. Take 2 generous Tablespoons of Gourmet Direct Meat glaze (the Secret Sauce!) and add it to the mix. Stir and simmer. Next add your Delmaine Cherry Tomatoes. Return the Beef Cheeks to the pot. After 4 hours, remove the lid and continue to cook for a further 20 minutes. 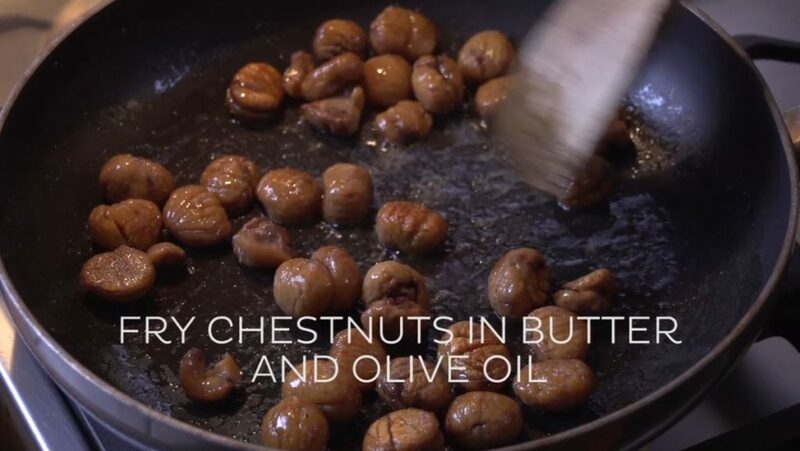 Remove from the oven and set aside to rest while you prepare the Chestnuts. Heat 1 Tbsp Butter and 1 Tbsp Oil in a non-stick fry pan (You want Butter for flavour and Oil for heat without burning.) Remove the nuts from the butter and oil and finish in the oven for 10 minutes. Add the Chestnuts into the meat dish. 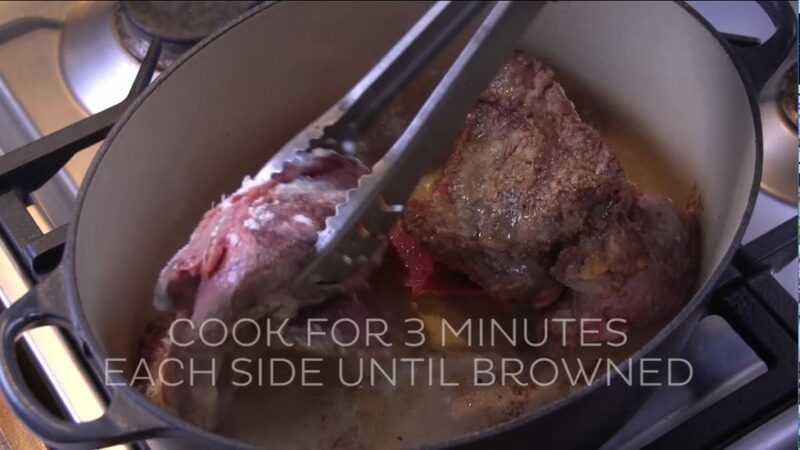 The Beef Cheeks should pull apart with very little effort. 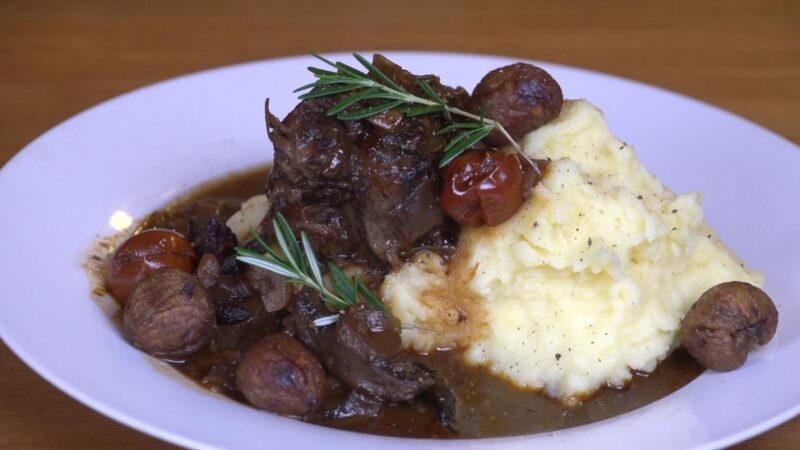 Serve meaty chunks of Cheek with plenty of vegetables, creamy mashed potato and delicious Jus from the dish.